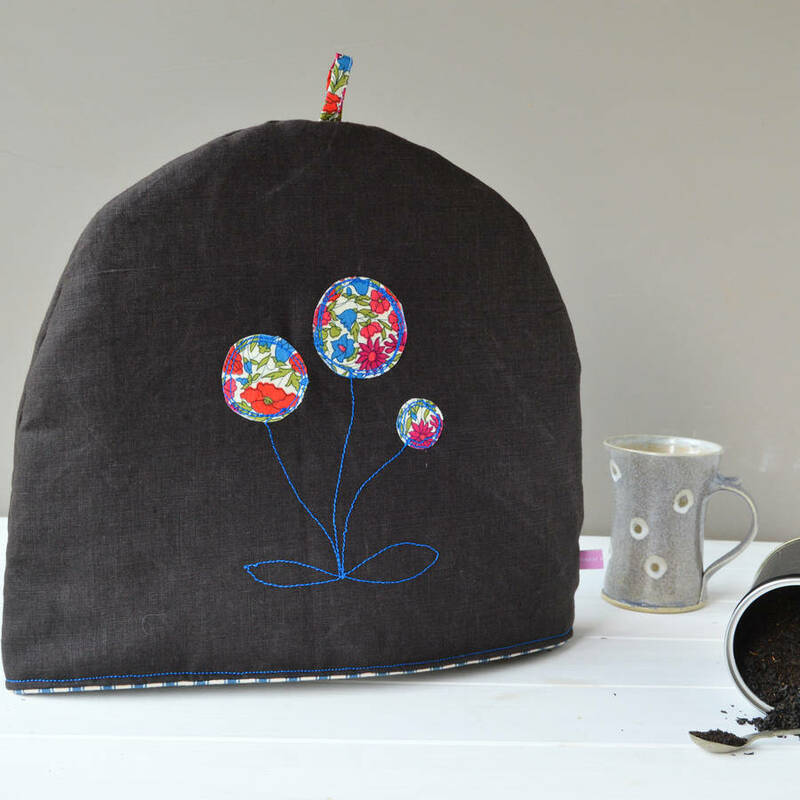 This beautiful handmade linen tea cosy is decorated with a Liberty of London floral design and makes an elegant addition to any home. 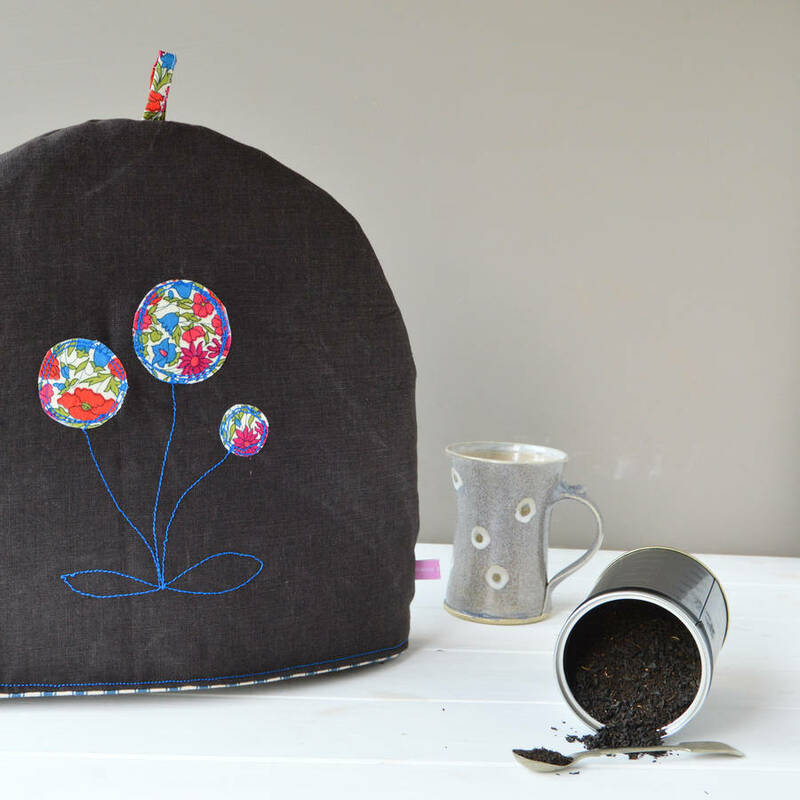 A tea cosy makes a wonderful housewarming gift, the perfect way to make a new home feel lived in and is also an ideal wedding or anniversary gift. 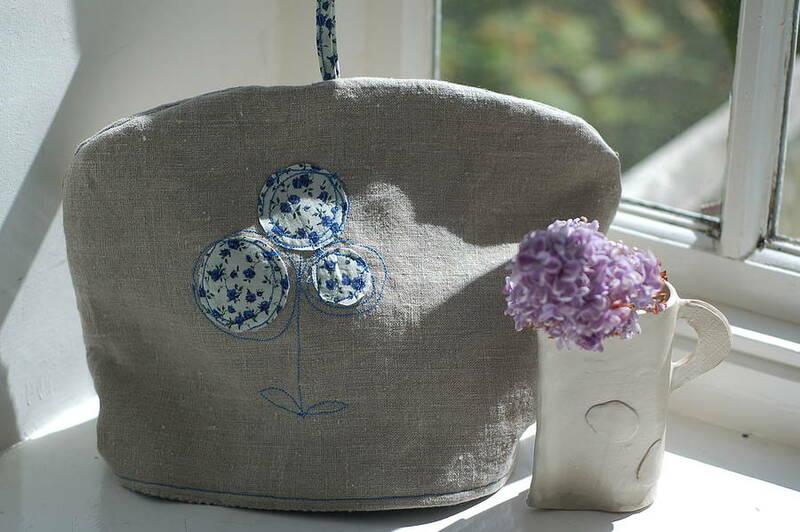 The combination of modern linen and classic Liberty print will sit beautifully in all surroundings and might be the answer to your gift dilemma offering a beautiful take on an everday object. 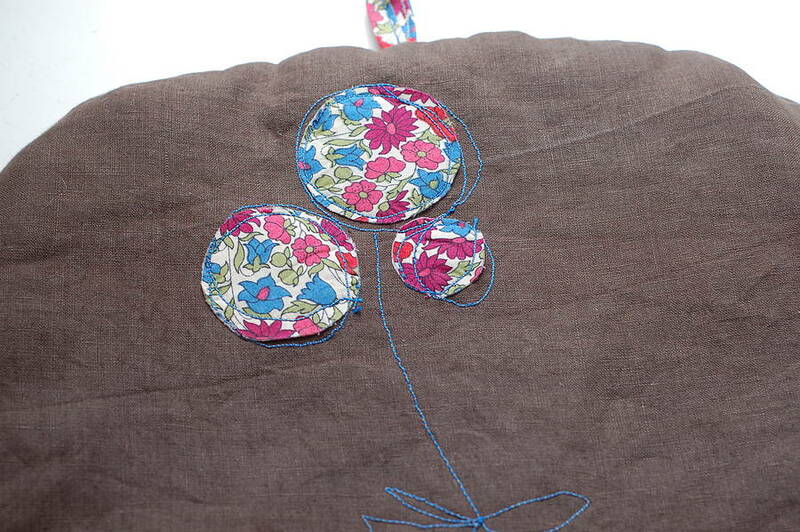 Available in pale natural Ecru coloured linen with a blue floral Nina Liberty of London print flower or dark Mocha coloured linen with a red and blue Poppy and Daisy Liberty of London print design. Please use the drop down menu to choose your design. The lining fabric is a blue and white ticking stripe. 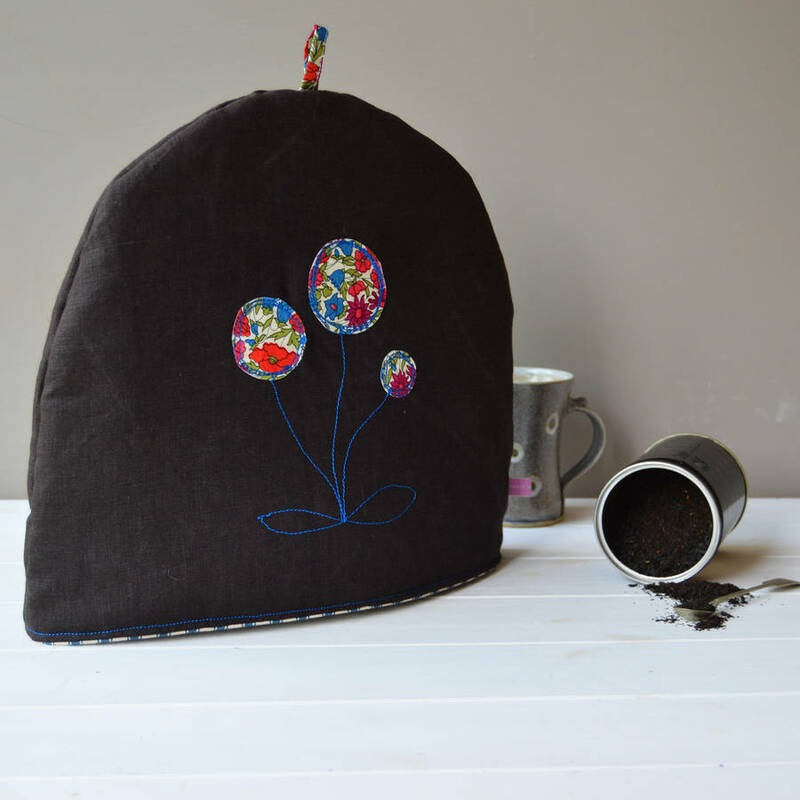 Please note that each tea cosy is individually made and fabric placement may vary from that shown. 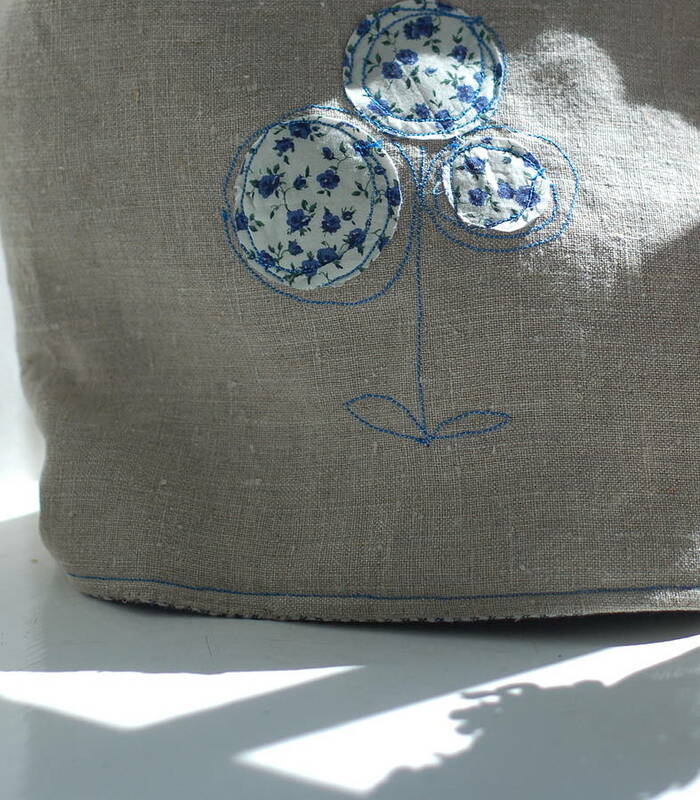 Made in Britain from linen, cotton and polyester wadding. May be surface sponge cleaned. The measurements, taken flat, are 33cm wide and 24cm high to fit a standard sized family teapot. 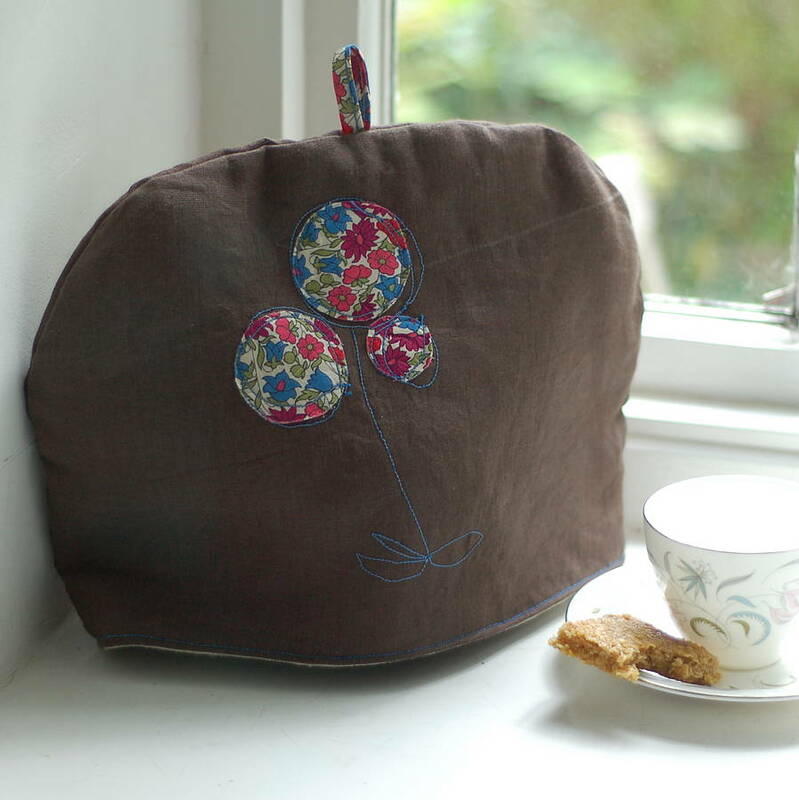 Should you require a larger or smaller cosy, I would be happy to make one for you, pleaes contact me with your requirements.